Final pre-season test at home on Friday night! An encouraging second half display last night saw us secure a 1-0 victory against midlands neighbours Hednesford Town at Keys Park. Reece Styche was the match winner, as his well placed header squeezed just inside the far post midway through the second half. We now prepare to host an Aston Villa XI at The GST Gas Services Stadium at The Lamb on Friday night (7.30pm kick off) in what will be the dress rehearsal for the National League North season opener eight days later. 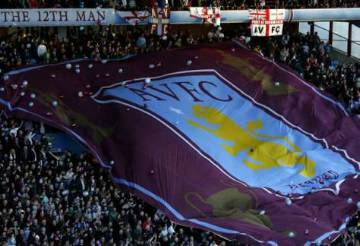 Aston Villa were frustrated by the late postponement of their friendly with Arminia Bielefeld last night, as adverse weather conditions in Germany took their toll. With just a single pre season fixture remaining now against Watford at Villa Park on Saturday in the Graham Taylor memorial match, Steve Bruce may choose to field some fringe first team players against ourselves on Friday. Tickets are available on the night only, and are priced at £8 for adults, £5 for concessions (over 65's and 16-17 year olds). Under 16's can gain free admission to the game. Please arrive in plenty of time, as we anticipate a large crowd.